Summer Juice Box Campaign Fundraising Campaign for Kids' Meals Inc. - Giveffect, Inc. It's not too late to join the fun! You can still join the 2nd Annual Juice Box Challenge! Summer can be a time of uncertainty for children struggling with hunger. Year-round, families struggle with finding a mode of transportation to access feeding sites for not only their youngest children, but their older children as well. These problems are exacerbated during the hot Houston summer months when the siblings are home from school. Kids' Meals is committed to ensuring that these children in need have at least one nutritional meal each week day by delivering free healthy meals to their doorsteps, year-round. Each summer, in addition to feeding the 2,900 preschool-aged children in the program, Kids’ Meals increases deliveries to over 5,000 children per delivery day to include feeding the school-age siblings of our children. This summer, Kids' Meals will deliver 315,000 healthy meals to children in need. Each meal includes a 100% fruit juice box. Our goal is to collect 1/2 of the juice (157,500 boxes) through the Juice Box Challenge. You can deliver juice to Kids' Meals or purchase juice here on this page. Thankyou for helping us feed the future of Houston! Please consider a generous donation to help Kids' Meals ensure that every meal will include a delicious and cold juice box. $10 will provide Juice Boxes for 40 children! $25 will provide Juice Boxes for 100 children! Sponsor the Juice Boxes for a day for all 126 children whose families come to Kids' Meals to pick up their lunches! $50 will provide Juice Boxes for 200 children! Sponsor the Juice Boxes for a day for all 251 Children on our Central Route! $100 will provide Juice Boxes for 400 children! Sponsor the Juice Boxes for a day for all 629 children on our East Route driven, by our Hope Provider, Blanca! Sponsor the Juice Boxes for a day for all 695 children on our Northeast Route, driven by our Hope Provider, Sue! Sponsor the Juice Boxes for a day for all 772 children on our North Route driven, by our Hope Provider Sixta! Sponsor the Juice Boxes for a day for all 832 children on our West Route, driven by our Hope Provider, Myra! 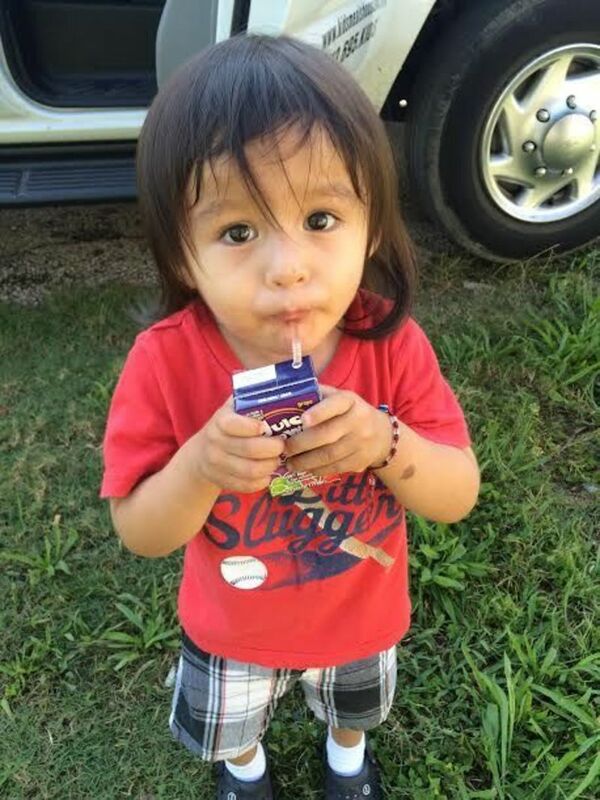 Sponsor the Juice Boxes for a day for all 868 children on our Southwest Route, driven by our Hope Provider Veronica! Sponsor the Juice Boxes for a day for all 4,173 Kids' Meals children! "I would like my juice box purchase to go toward Michael Martinez Fine Portraits' running juice box total for the summer challenge"